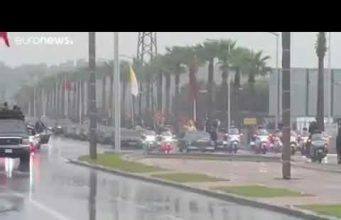 Rabat - Moroccans’ mobile phones went back to the standard time on Sunday morning, leading to immense confusion among citizens. Surprised to find standard time on their phone screens, many Moroccans blamed mobile network operators. On Sunday morning, social media users expressed their anger and confusion about the situation. Many people were perplexed by the use of standard time on their phones. Facebook and Twitter feeds quickly filled up with posts attempting to ascertain the actual time. 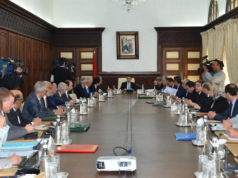 A government council adopted Draft Decree 2.18.855 on Friday, adding 60 minutes to the standard time in Morocco year-round. 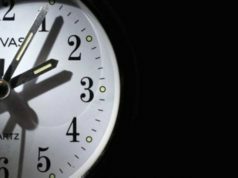 The last-minute decision came only two days before Morocco was set to turn clocks back one hour, marking the end of Daylight Saving Time. 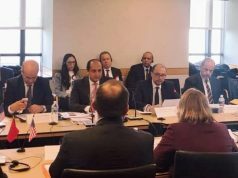 The decision was based on various indicators that “take into account aspects relating to health, the energy economy, and the commercial transactions of the kingdom,” he said. 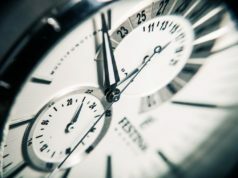 The government, however, never announced that it was studying the effects of time change, nor was there notice of an intent to permanently alter the time. 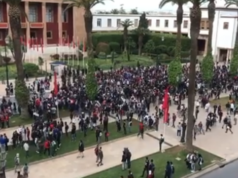 A statement from Secretary-General of the Socialist Union of Popular Forces Party Driss Lachgar sparked outrage among Moroccans. 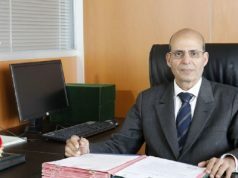 Lachgar said that Moroccan citizens are not against GMT+1, and he went on to declare debate on the issue wrong and unjustified. 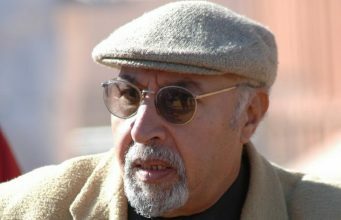 He added that Moroccans would be ready to go to work at 5:00 AM if the government offered them such employment opportunities. 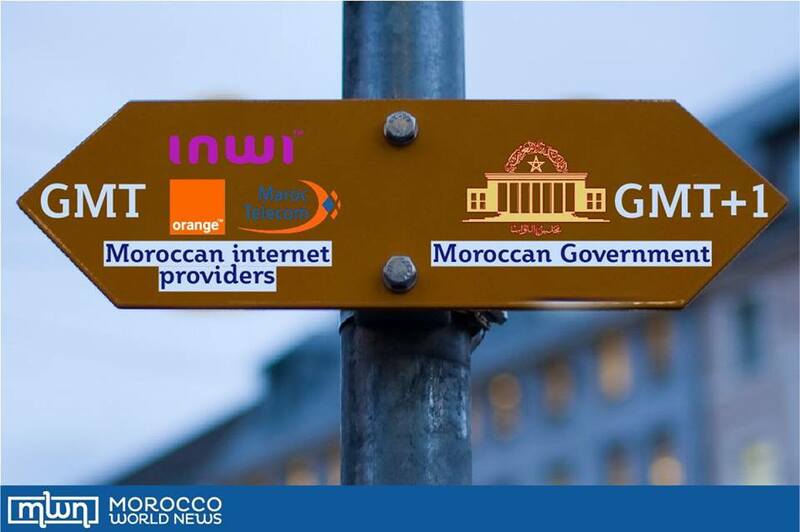 Rumors that Renault was behind the government’s decision to maintain GMT+1 abound. 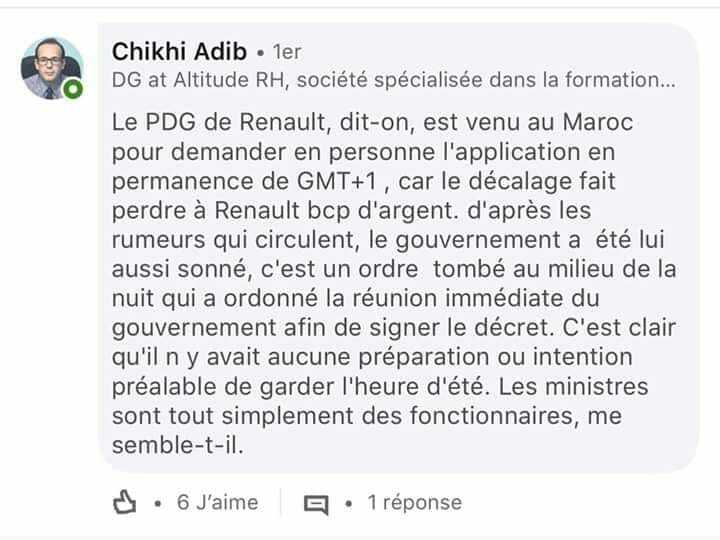 General Directorate of Altitude RH Chikhi Adib spoke about the rumors in a comment on LinkedIn. 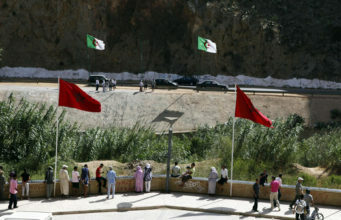 He said that the time difference between Europe and Morocco will significantly damage the company’s expected revenue. 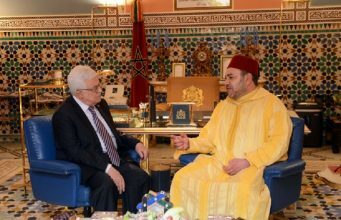 Furthermore, during a meeting between King Mohammed VI and Renault CEO Carlos Ghosn in Marrakech on Thursday, Ghosn and Elalamy informed the King of an extension project at the Renault plant that will double its production capacity by 2022.